However, there is far more to Latvia than just Riga. One of the notable aspects of Latvia is that it is so compact. You can easily cross the country from one end until the other in just 6 hours. And Riga’s position in the heart of the country means that you can reach other cities and towns easily and quickly with a rent-a-car. 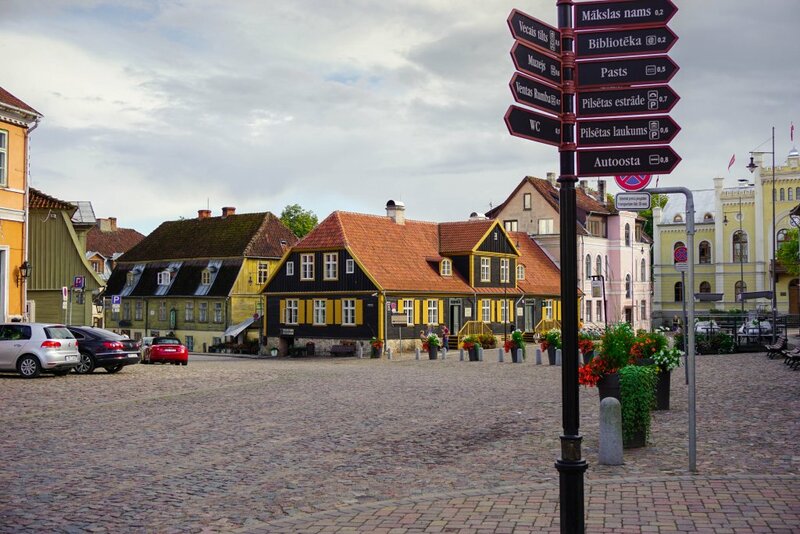 I truly believe that you won’t regret giving up one of your days in Riga for a road trip through a lush, verdant landscape on your way to one of Latvia’s many other charming towns or cities. 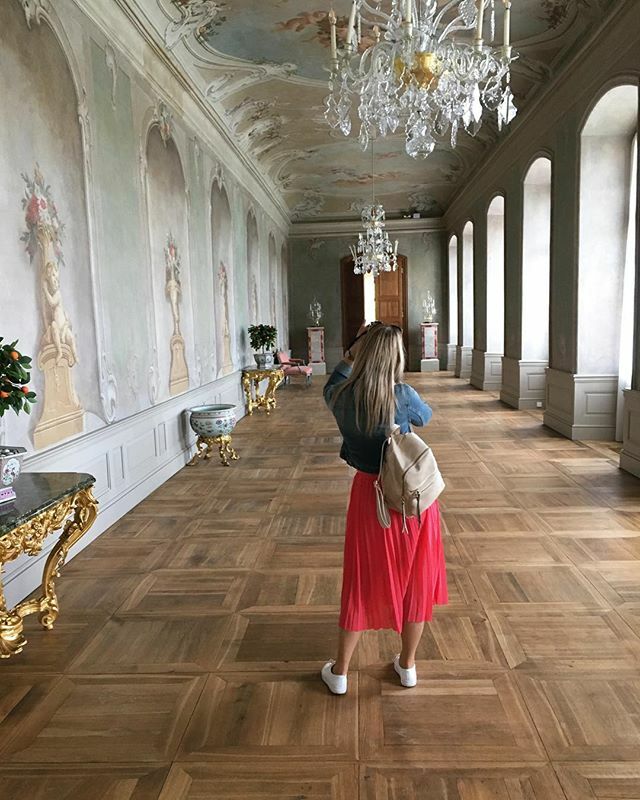 I have put Sigulda and Cēsis top of the list because they are definite must-sees and very close to Riga, meaning you can fit them both into one day. 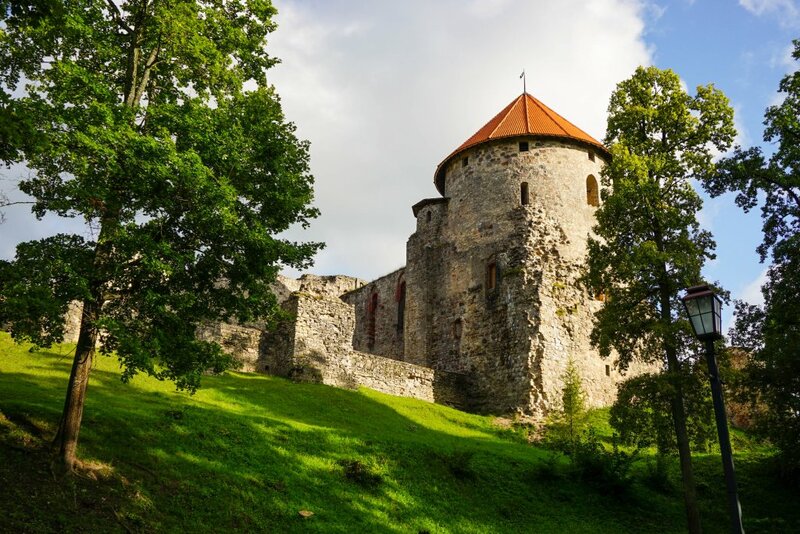 Cēsis is a charming 13th century town with a Livonian Order medieval castle and numerous really cosy, modern cafes. Sigulda, on the other hand, is for those who want to experience spectacular views of the Gauja river and the cliffs and forests that surround it. Sigulda is also a destination for adrenaline junkies. Challenge your strength and courage at the Mežakaķis and Tarzāns sky playgrounds, slide down a real bobsleigh run (winter or summer!) or learn to fly in the wind tunnel at the Aerodium. Oh, and they also have amazing cakes and pastry in Sigulda (visit cafe Mr Biskvīts). What’s not to love? Read more about Sigulda, Cēsis and Vidzeme here. 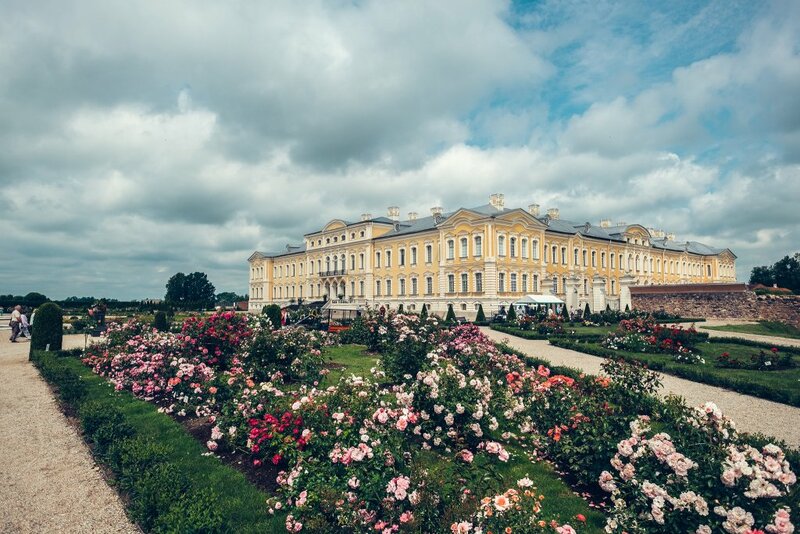 Kuldīga (or Goldingen, as it was known as the capital of Duchy of Courland and Semigallia between 1561-1795) is not that close to Riga, but I couldn’t exclude it from this list because it is just SO worth a trip. Chances are this town, where many old-time movies have been filmed, will get you in a dreamy mood. With its narrow streets and wooden buildings dating from 13th-19th century, it’s no wonder that locals call Kuldīga Latvia’s most romantic town. You can also enjoy a beautiful view of the Venta waterfall from the red brick bridge that spans the Venta River – or even dine at a restaurant on the side of the bridge. At 165m, the Old Brick bridge is the longest of its kind in Europe and offers the perfect view of Kuldīga. That said, the Venta waterfall is my own personal favourite spot in Kuldīga. At 240m wide, it is the widest waterfall in Europe and in springtime attracts many tourists eager to see vimbas and salmon jumping over the waterfall. The locals call it The Flying Fish Show. All of this makes Kuldīga an ideal destination for one of your day trips from Riga. Where to eat? My recommendation is the Goldingen Room right next to the Town Hall Square. It’s a lovely family restaurant with a classic Northern European style interior. Read more about Kuldīga and Kurzeme here. Jūrmala is a pretty resort city with a touch of class. Here you will not only find many high-end restaurants, hotels and spas, but also a beautiful, never-ending white sand beach. Jūrmala is admittedly more expensive than other towns and cities in Latvia, but it is a lovely place to visit, especially on a sunny day. 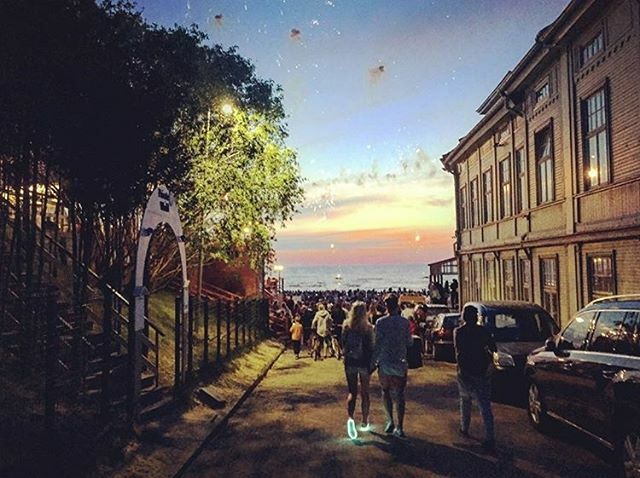 Take a stroll at Jomas street (Jomas iela), with its many cafes, bars and restaurants or rent a bike and cycle through the fresh pine-tree parks that line the seaside. To understand the distances better, I have marked all the above- mentioned towns and cities on the map. 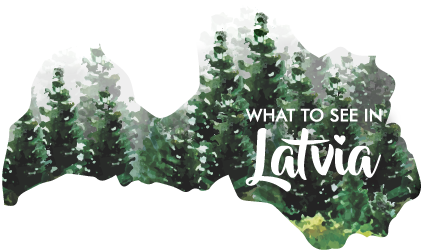 Perhaps you have already been to Latvia and have found some ideal spots for day trips from Riga, if so, please feel free to share that on a comment below this post. I am always happy to discover Latvia with you.